On the hunt for the best clotheslines in Maroochy Area? You will be glad that you found your way here because you have come to the right place! 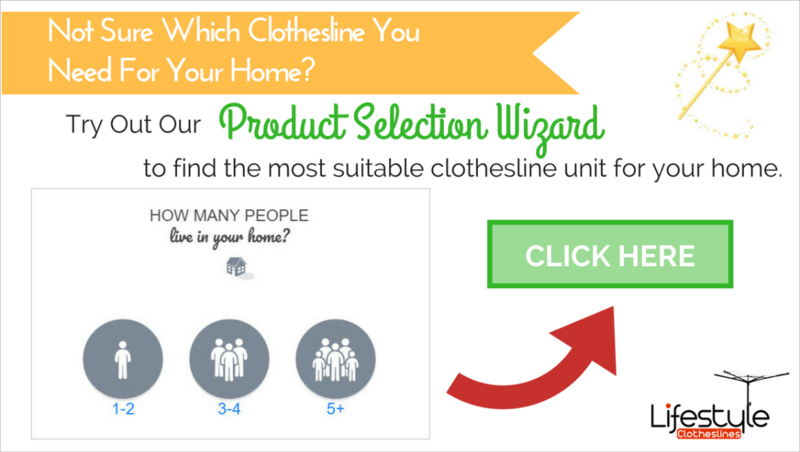 We carefully chose three well-rated models for every clothesline category that we offer and will thrown in some really helpful tips about installation, clothesline accessories and much more. 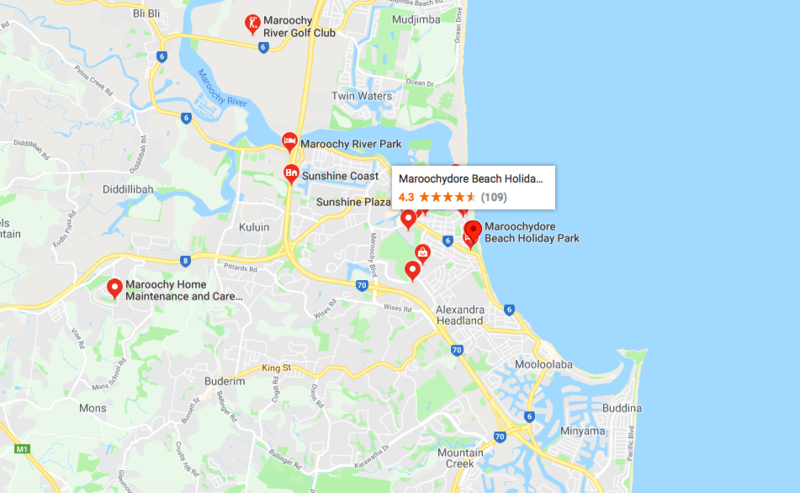 Getting a new clothesline in Maroochy Area Sunshine Coast may seem like a simple walk in the park but it is actually quite the complicate given the plethora of models that are available on the market right now. It is only natural for many of us to find ones that offer the best value and when it comes to clotheslines, you will instantly notice that it brings justice to the phrase: "You get what you pay for". These contraptions usually just serve one purpose--to dry clothes in an eco-friendly way without additional costs on your part so in order to ensure that it works as intended, let us start by talking about clothesline form factors and how it affects the performance of your airer. 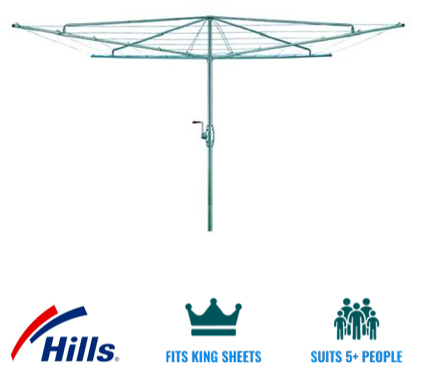 People often commit the mistake of getting a clothesline without realising that certain types of airer are designed to work best in certain usage and installation scenarios, selecting an appropriate type of clothesline that will perfectly match your needs is the best way to ensure a fuss-free clothes drying experience. Fold-downs and Retractables - The best options if you have no idea which type of airer to get or simply do not want to bother pondering too much on a clothesline purchase. These things are available in a variety of shapes, sizes, and capacities. Both can rival even the biggest of rotary hoists, are easy to install, reliable, and the retractable airer is the most discreet of all clotheslines--except for portables that are hidden from view of course. 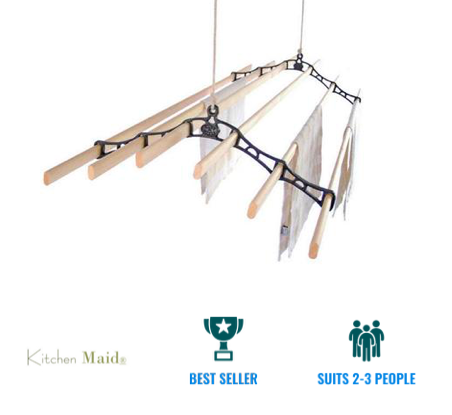 Ceiling and Portable airers - The smart, space-saving, clothes drying solutions without sacrifices, ceiling airers take advantage of unused overhead space in any room, the pulley system also makes it very easy to hang and remove clothes from the laths which a plus for those who have mobility issues. Portable airers are great as accessory/extension of your main airer if you aren't able to use them like during bad weather, can be conveniently hidden away from view and affords you the ability to dry clothes anywhere you wish! Standard and Folding Rotary Hoists - The high capacity clothesline that's perfect for big homes and growing families, if you want the ultimate best in wallet-friendly clothes drying then rotary hoists are your best bet. The standard airer boasts unprecedented reliability that can make short work of your very heavy articles, folding hoists provides the luxury that a standard rotary airer without worrying about wasted outdoor living space since they can be removed from the ground socket. This is a no-brainer really, the most important aspect in acquiring a clothesline in Maroochy Area is choosing the right type depending on your requirements, since we have already briefed you with this topic earlier the rest really is all about proper use and using accessories. 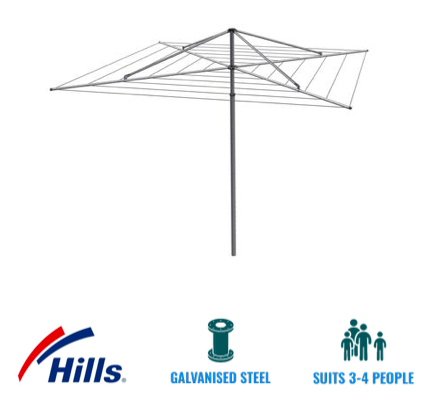 Since clotheslines in Maroochy Area will be subjected to quite a bit of rain and intense sunlight you might want to invest in a clothesline cover. Not only will it protect the plastic parts of your clothesline from getting brittle, the metal frame will also be shielded from the rain thus, keeping corrosion at bay. It is also a good idea to leave a lot of room between very long and wide articles like duvets, curtains, and bedlinen, this will keep airflow from being obstructed--impeding the performance of your clothesline. There are many other practical ways to take full advantage of your clothesline, coordinate with the installation expert to find out where it is best to have your new investment installed where there will be sufficient sunlight exposure and continuous breeze. You can also consult the seller by giving them a call or sending an email for further suggestions because they are very knowledgeable in this regard. 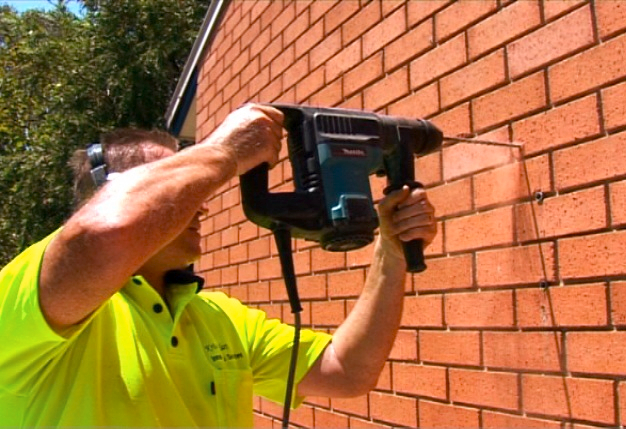 We offer a full outdoor clothesline installation service to all the residents of Maroochy Area Sunshine Coast for all models of clotheslines and washing lines. You should be fine to install your clothesline however you want but it is best to get in touch with the City Council of Sunshine Coast for any potential restrictions.